CC Land Surveying, Inc. (CC) offers clients with a wide-range of professional land surveying services throughout Michigan. CC's main focus is to provide clients with quality services on time and on budget while maintaining quality control. We will provide our clients with superior service at reasonable rates by maintaining a low operating overhead. CC was formed to provide clients with land surveying services in all aspects of surveying from the very beginning of the project to the completion of the project. With having a highly skilled professional team working together, utilizing their experience with the latest technology, we are able to provide our clients with the quality service they deserve. All projects are under the direct supervision of licensed professional surveyor's. 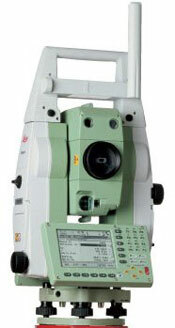 Field crews are equipped with the latest technology in GPS along with robotic total stations, the most advanced computer software, data collectors, and laptops which allows quick conversion from data collector to the computer for efficient processing of the data. The data files are sent back to the office using wireless internet. This advanced technology allows CAD personnel the ability to start the drawings while the survey crew is returning to the office. With the only focus on professional land surveying services, CC gets the opportunity to work closer with clients, therefore creating greater client stability and satisfaction.